Projector Ceiling Mount Bracket White great for mounting projector from ceiling. All steel ball mount bracket design allows up to 30° of adjustment either horizontally or vertically which is more than enough for most installations! White Projector bracket designed to suit the majority of projector models on the market today. 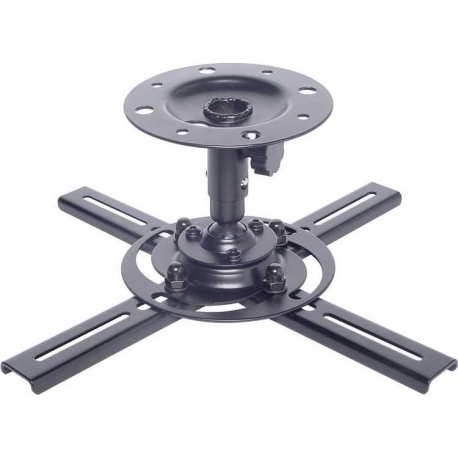 Projector mount surface sits 135mm from the ceiling and can be adjusted to 210mm. It may be removed from the upper bracket for adjusting the projector settings if required. 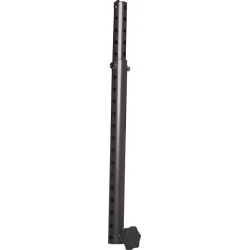 Two sets of mounting arms are provided (140mm & 180mm) and may be adjusted on the base plate as desired. Max 10kg.